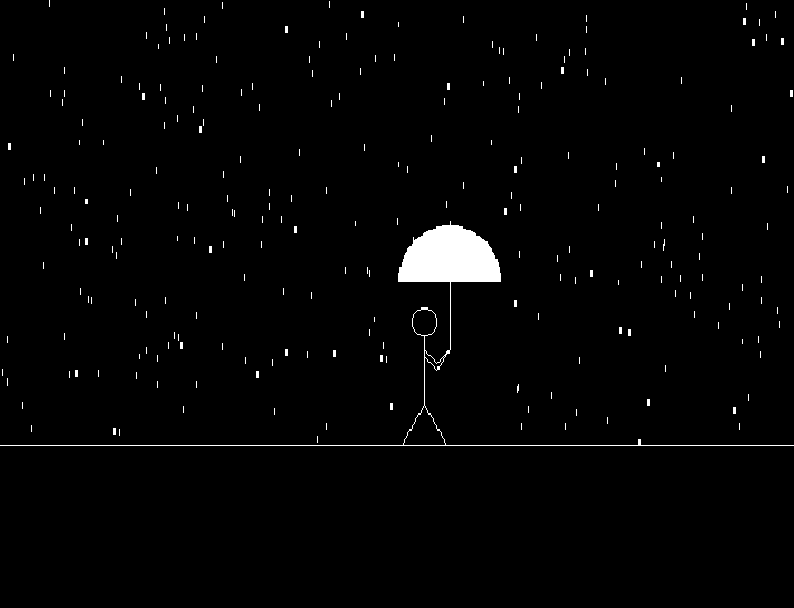 Program in c to draw a Man walking in the rain using graphics (CG) program. Program is made using 3 different objects. A man with Umbrella, Rain and Ground. First we have created function DrawManWithUmbrella which will Man and Umbrella using pieslice, line & circle functions. We have used pieslice & line functions to draw umbrella, circle & line functions to draw head, line function to draw hands & legs. To draw rain we have used Rand() and Line() functions. Rand() function generates sequence of random numbers, which are location coordinates on-screen to draw rain using line() function. Speed of man can be adjusted using delay() function. Higher the delay lesser the speed. 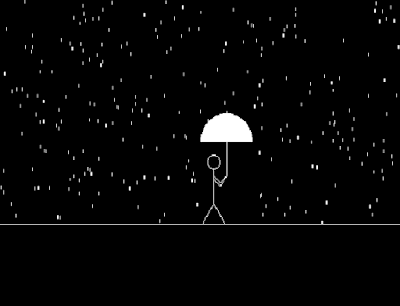 Program in c to draw a Man walking in the rain using graphics programming.